Twitter is one of the most used social networks today. Twitter is even faster on reporting large news events then the global media. There is a lot of good content on Twitter for all matter of purposes. 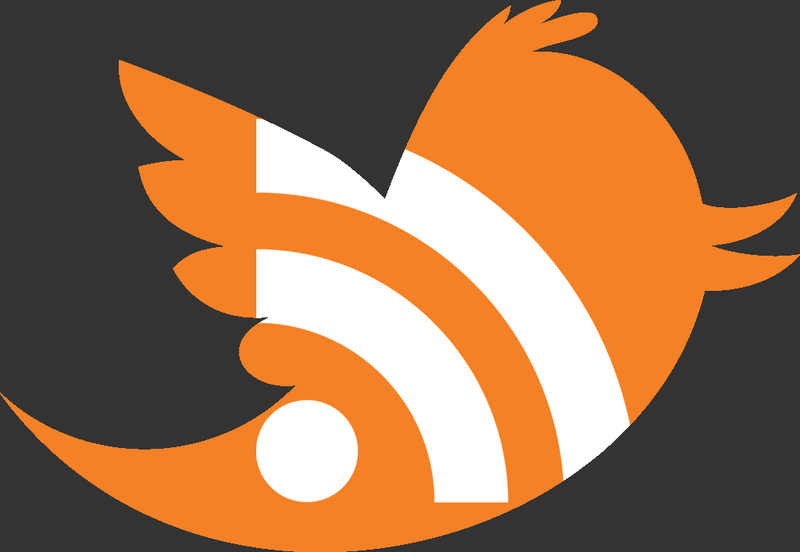 Continue reading to learn how to create an Twitter RSS feeds and add it to your feed reader. The social network has removed native RSS feeds from its public interface. It used to allow users to click on the special RSS icon and subscribe to the posts of each user they selected. 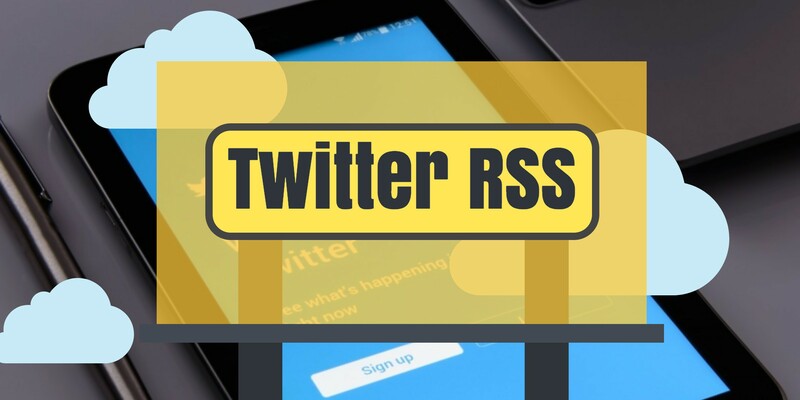 Today you need third party services to make RSS feeds from tweets. Twitter RSS feeds are good for collecting your personal Twitter content into one place. As well as great for for content publishers who want a Twitter feed to add to websites, blogging platforms and so on. In this article, we will look at the first, TwittRSS, as it is the most popular and lightest one. Which makes it super easy to make a feed. No special technical knowledge is required. And no need for working with complex URL’s and parameters. Or, even the more complex and nightmare process for non-programmers: connecting and managing API’s. The tool allows you to create a feed based on a particular user, or a feed based on search terms or hashtags. This is quite useful for business user who want to keep track of trends or mentions of their brand. To get started, visit www.twitrss.com. From there it is pretty straight forward. 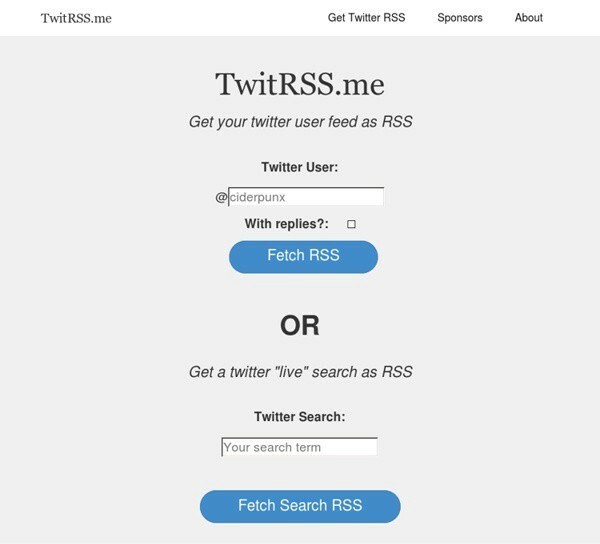 Either enter the username you want to create a Twitter RSS feed out of. If you want to create a feed from a user account, enter their username under the “Twitter user” heading. Press the “Fetch RSS” button and wait. Similarly, creating a feed for a phrase or hashtag enter is the same process but enter the phrase or hashtag under the “Twitter search” heading. Once the feed is ready, a large amount of code will be displayed on your screen. Do not worry, this is not important to you. What you need is the generated URL in your browser’s address bar. What to do with these URLs? Once generated, just copy them and paste them into your favorite RSS reader. For example Feeder, where adding feeds is very fast and easy. You can also generate the same URL from your mobile phone and paste it into an RSS reader app. Again, Feeder in the App Store and Google Play. 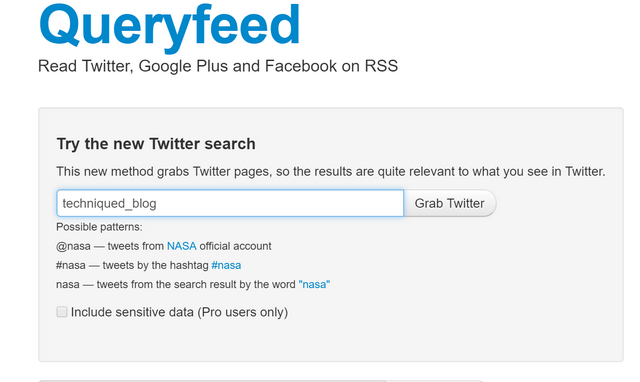 Queryfeed is a similar tool to Twitrss.me, but it also gives you some extra and powerful features. You can choose options like to display attachments, skip retweets or even direct messages or limit geographic territory based on latitude and longitude.